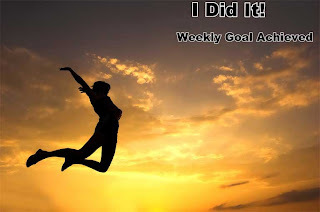 Yep, I didn’t just reach my goal this week, I left it gasping in the dust. 1x Weight training for 25 minutes. 10 minutes of stretching EVERY morning.. If I can meet that for the next two weeks, I will hire a personal trainer come Jan 2! Good for you! You did marvelous!